I often come across pieces that are not signed but are still of good artistic value. Today a chapter of few words but of an artistic worth of which the paintings may speak for themselves. They all come from the 19th century. 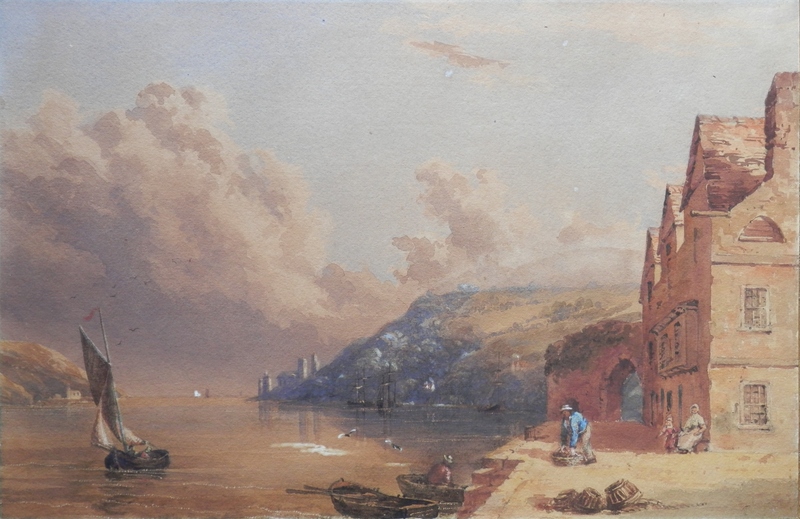 We begin with a coastal or harbour scene in the manner of Samuel Prout. A warmth of colour and precision in expression are the proof of this artist’s talent. 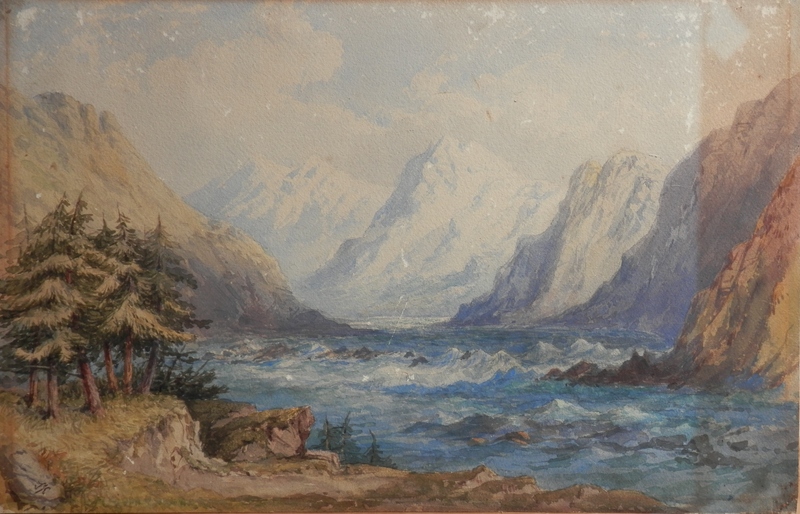 I believe it to show #Bayard’s Cove on the River Dart near #DartmouthHarbour around 1860. We see #StPetroxChurch and castle towers in the distance at the mouth of the inlet. #TheOldBurialGround at #Inceworth painted in 1877 if my reading of the inscription beneath the image is correct. Alas, Inceworth no longer exists, it was probably erected in the 14th century and by the 18th it was a venerable pile of antiquities. It’s chapel was turned into a granary which eventually fell into dis-repair. Inceworth is close Plymouth on the Tamar River which forms the border between Devon and Cornwall. To an idyllic rural scene with children playing and fishing as their mother prepares her wares for market. A pleasant scene done in the cool peaceful hues of autumn. And to finish two landscapes. One with a bit of humour as a man chases his cart down the hill and the other – for me – could be an image from western Canada’s mountains and fir trees. There are initials to be found in the bottom left corner on the greyish stone. 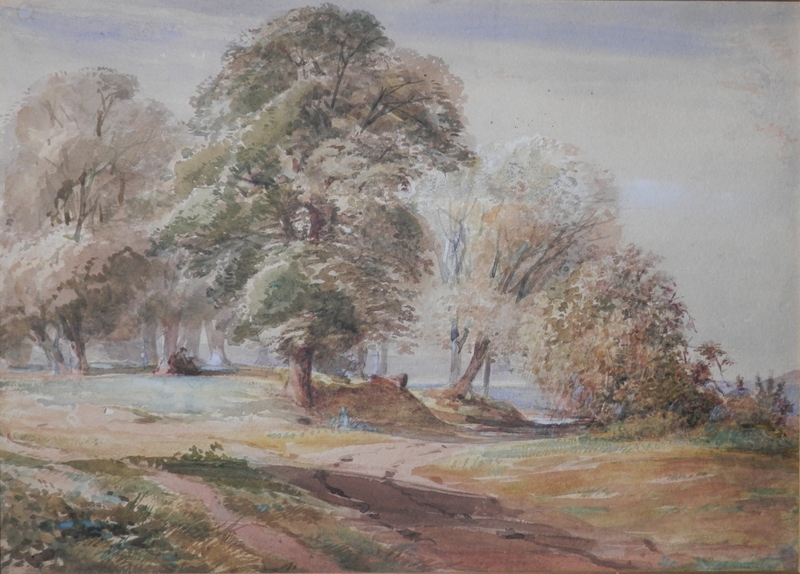 A number of fine watercolours by unknown artists. 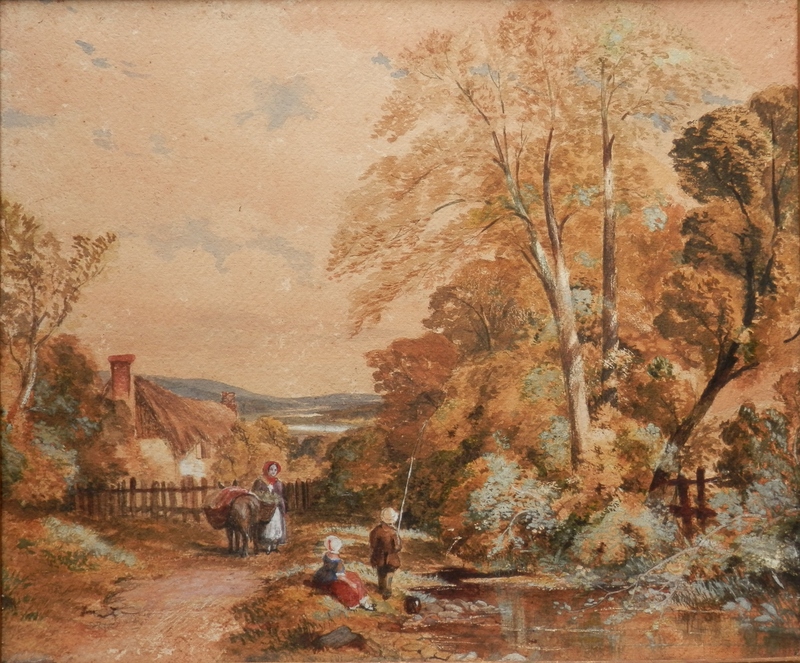 This entry was posted in Watercolour paintings and tagged autumn, Bayard's Cove, boats, copse, cottage, Dartmouth harbour, fir trees, harbour, mountain, mule, path, picket fence, river, St Petrox Church. Bookmark the permalink.